Social media can be a great way to get targeted traffic to your blog. It can take a bit of time to get going, but once your following is high enough, or you’ve spent a decent amount of time you should eventually see some good results. 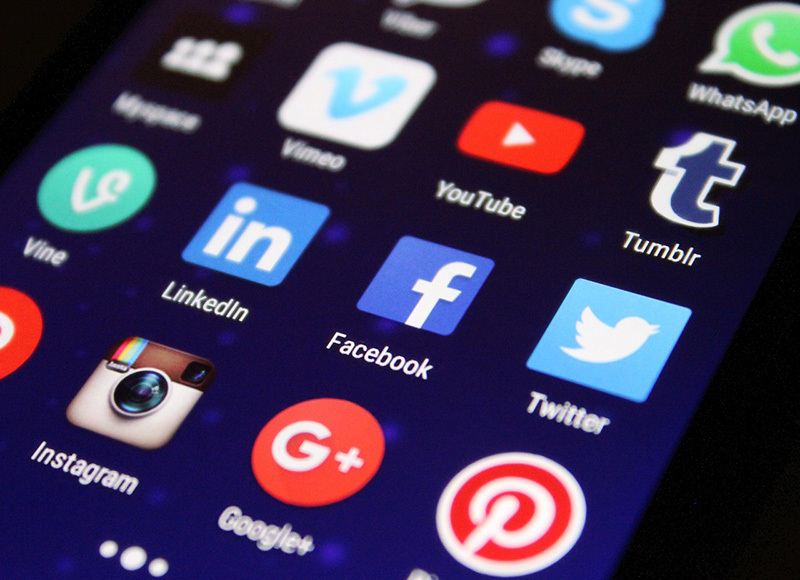 I have put the social media platforms below which get me regular traffic and also some recommendations on how to use each platform. Also note that traffic from search (organic) using SEO techniques should be your main objective, as this will provide long-term results and also takes less continuous work. Here are ways to use social media to get traffic to your blog. Starting with Pinterest which is a bookmarking service and is great for getting consistent traffic. It can take time for pins to get traction but can provide regular traffic once they do. 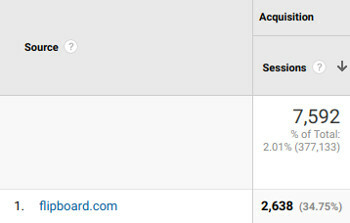 I currently get 5,000+ hits a month from Pinterest but know a lot of bloggers get significantly more and many say it’s their biggest source of traffic. For Pinterest, you should try and pin content every day and not just from your own site, but from other sites too. Generally, the rule is around 20% yours and 80% others, but some bloggers say 50% works fine too. 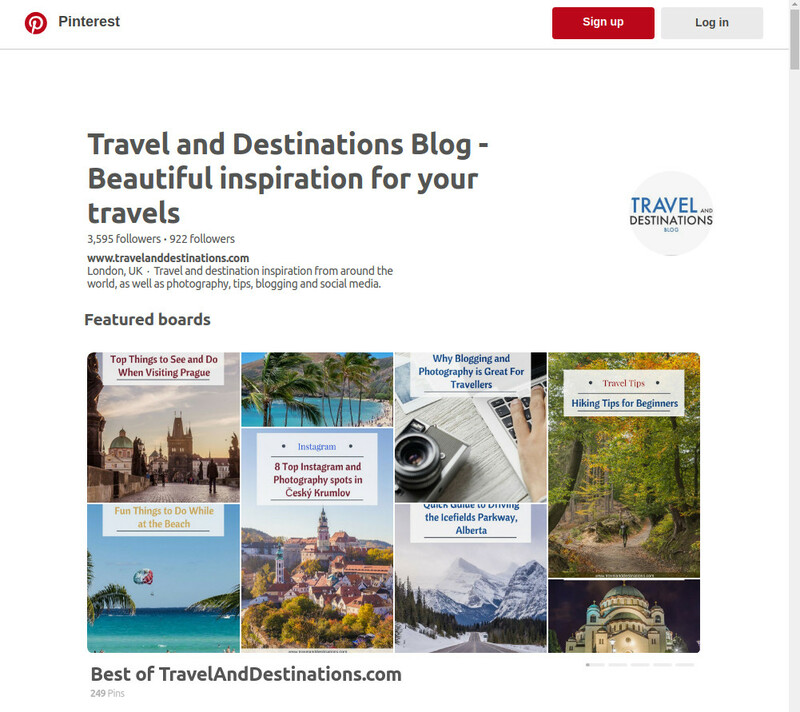 A great way to give your Pins some exposure is by joining Pinterest groups such as Travel Bloggers Guide to Pinterest and Ultimate Pinterest Group for Travel Bloggers. These do take a bit of work though. 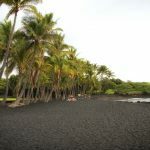 If you are working full time and find it difficult to pin then consider using a scheduling application such as Tailwind. You should also consider joining Tribes which makes it even easier to find and repost content. 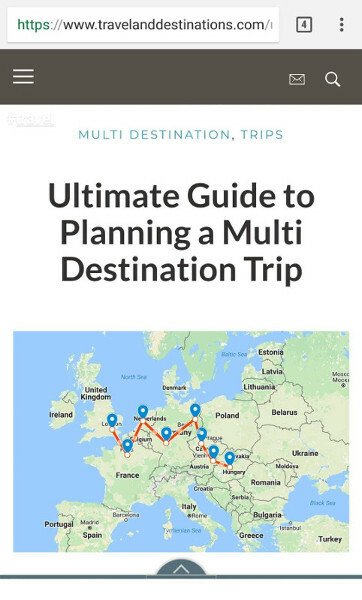 My Tailwind Tribe (which is very new) is called Ultimate Travel Inspiration and Tips. 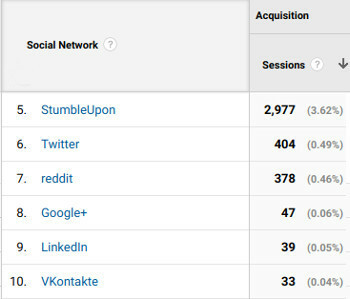 Here is some of my traffic from Pinterest from around the last year. Although this might not seem that high, it’s still quite consistent and gives me a steady stream of traffic whether I do anything or not. 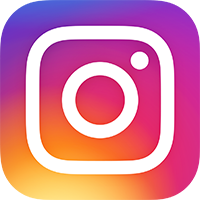 I’ve found Instagram Stories are another great way to get traffic. But you will need a large and engaged following to see good results. I currently share relevant posts to three Instagram accounts @mikecleggphoto, @travelanddestinations and @bestcitybreaks. Depending on the nature of the content, on my largest account (@bestcitybreaks) I can get 200-600+ referrals over 24 hours. This is again targeted traffic as my blog is travel related and the people who follow those Instagram accounts are interested in travel. It’s also possible to put links in your Instagram profiles. 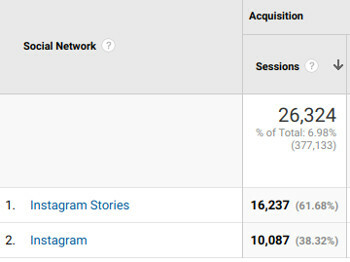 You may see some traffic/clicks from those links, but I’ve found it nowhere near as effective as Instagram Stories. Here is a snapshot of my traffic from Instagram. Although there are two options showing below I believe they are mainly all from Stories. 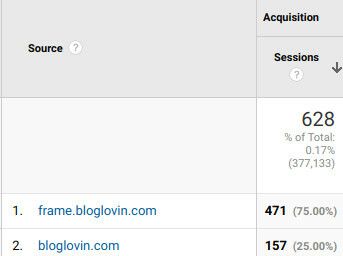 I think Instagram changed how it was referring traffic and this affected how it appeared in Google Analytics. The date range is from over the last year but I only actually started using this technique about 6 months ago. I also don’t do Stories with a swipe up links every day so as to not annoy my followers. Instead, I do it every few days. 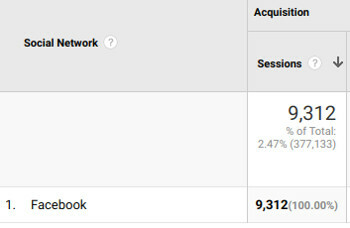 Although a bit harder now due to the dreaded algorithms, Facebook can still be a good source of traffic. 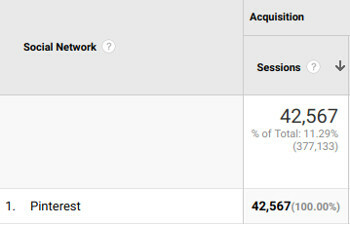 I don’t have the biggest Facebook page, but often see a nice stream of referral traffic. 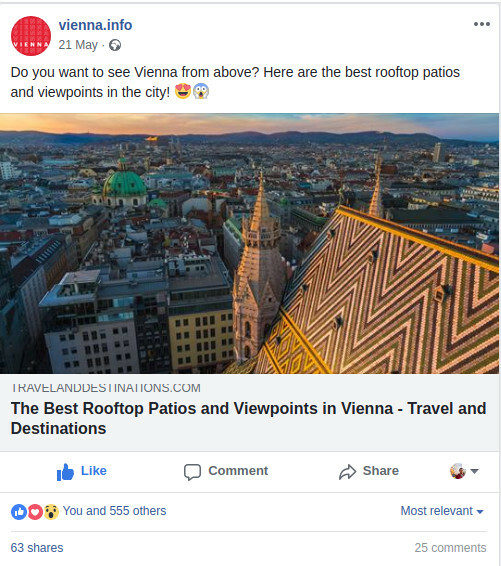 This is from other pages, such as those of tourism boards sharing links to my content, such as the one below to my Vienna rooftop post. Sometimes when this happens I can get an extra thousand hits over 24 hours. 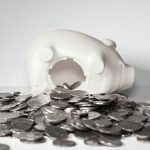 If you have a budget you may be able to grow your Facebook page such as using competitions, giveaways and other techniques. There are also lots of sharing groups where bloggers share each others content. Below is a snapshot of some of my traffic from Facebook over the last year. It’s far from huge, but you may have better luck than me when it comes to Facebook. Mix is a new social media platform built by the creators of Stumble Upon (mentioned below). 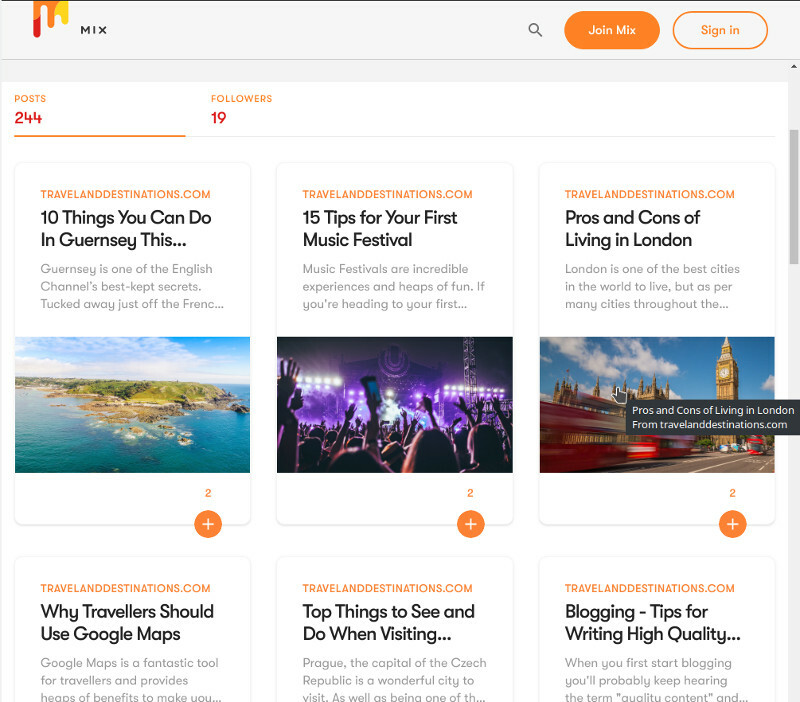 Mix is easy to use and using the Chrome extension you can quickly save any of your favourite articles you discover on the web. It also has a nice clean layout that is easy to use. Although still early days I have high hopes for Mix becoming a great source of traffic to my blog hence why I have put it a bit higher up. Here are some other options that might work depending on your social following. I would say LinkedIn should be used cautiously, in that you don’t want to share articles on there that aren’t very professional and relevant to the more commercial side of the world. 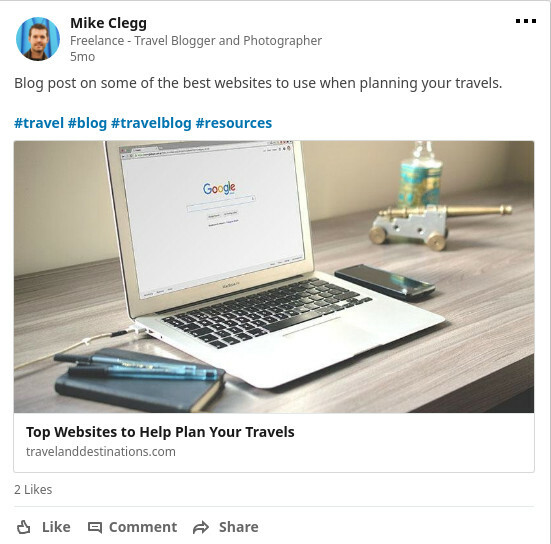 I normally share posts on blogging techniques, as opposed to destinations posts or articles such as “top things to do…”. It can reflect on you as a professional so only share something you think represents you in a good way. You may be able to get a lot of Twitter traffic if you can grow a large and engaged following. However, I would say Twitter is best for news related media as opposed to standard blog posts. So use it, but don’t spend much time on it as it may be a waste of time. Flipboard can sometimes provide a lot of traffic, but it can be hit and miss. 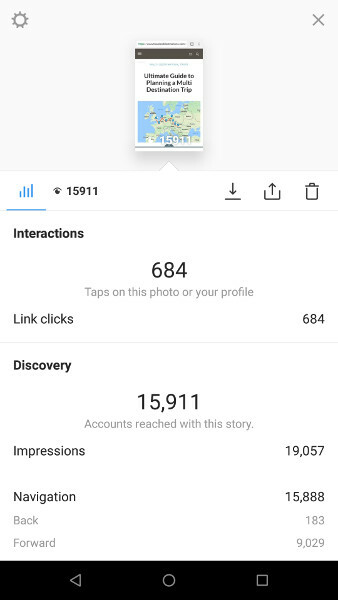 I share to Flipboard whenever I post and sometimes when posts get popular I can see around 500 extra hits over 24 hours. Bloglovin’ may get you some traffic but I personally have found it very hard to grow my following on this platform. I’ve tried all the suggested techniques and nothing seems to work. But it’s worth registering your blog, as it provides some traffic, takes minimal work and automatically creates links to your new articles. Whichever social media platform you decide to focus on will certainly take lots of work to get going. But once you do, you should find you get lots of high quality and targeted traffic. If you decide to only use a few of these suggestions I would suggest Pinterest, Instagram and Mix. Also, I would recommend using the Jetpack Plugin so you can link to your Twitter, Facebook and several other accounts. This allows you to automatically share your new posts. Also, use the Social Pug plugin to add sharing buttons to your blog. Hey Buddy!, I found this information for you: "How to Use Social Media to Get Traffic to Your Blog". 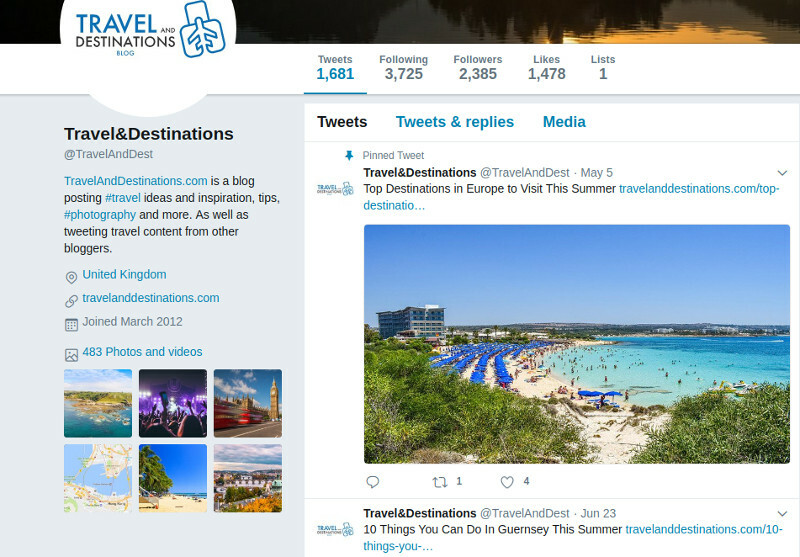 Here is the website link: https://www.travelanddestinations.com/how-to-use-social-media-to-get-traffic-to-your-blog/. Thank you.